Next week the European Court of Human Rights is expected to rule on the flawed trial and lenient sentence imposed on a Slovak police officer who killed three members of a Roma family back in June 2012. Whichever way the judgment goes, one thing is clear – for Roma, policing in Slovakia remains arbitrary and brutal, and the course of justice is routinely perverted. The case before Strasbourg involves a gun attack on a Romani family in their own yard, which left three dead and two wounded in the Slovak town of Hurbanovo. Mr. J, an off-duty police officer, drove up to their house, and without a word, opened fire with an illegally purchased weapon. The applicants in this case are the survivors who sustained serious wounds: the first applicant was injured in the hips and thighs, and the second applicant in the liver, lower appendix, stomach and elbow. The ERRC are representing the applicants before the European Court. The killer later admitted to police that while he was readying his gun, he was thinking about how ‘to deal with’ Roma from Hurbanovo. In the immediate aftermath of the triple murder came a surge of online support for the gunman. According to Irena Bihariová, from People against Racism: ‘“public discussions turned into mass glorification of the murderer and hateful responses towards the victims.” Mr. J. testified that he could not explain his actions, did not remember the events, and denied any racist motivation. Mr. J. was found guilty and sentenced to nine years’ imprisonment, including three years of protective supervision including psychological treatment. The ERRC represented the applicants before the European Court. The applicants’ main arguments were that the investigation, prosecution, and trial failed to take account of the racist motivation for the murders, and that procedural flaws prevented the applicants from effectively participating in the proceedings. The lenient sentencing and the failure to acknowledge that this massacre was racially motivated is part of a wider malaise when it comes to justice in Slovakia. 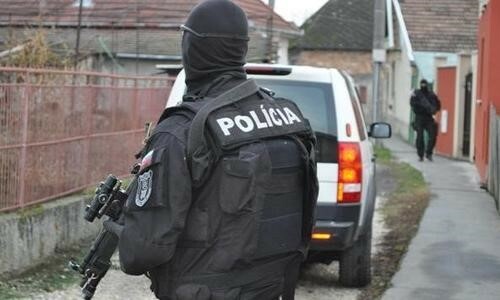 The ERRC has another case before the ECtHR, where Romani victims of the 2013 mass raid in Moldava nad Bodvou who were beaten and injured, testified as witnesses to the extreme police violence in a notorious mass raid, ended up charged with perjury. The prosecutor notoriously attributed alleged irregularities in their testimonies to their “Roma mentality”, which according to expert opinion, is characterised by “low trustworthiness, a propensity to lie and emotional instability”. In December 2017, the UN Committee on the Elimination of Racial Discrimination expressed its serious concern at the numerous reports of excessive use of force and ill-treatment, including verbal and physical abuse, by law enforcement officers against Roma; raids carried out without warrants, leaving many Roma injured including children and elderly people, and complaints and investigations against police officers, dismissed and suspended. A month later in January 2018, the ERRC initiated legal action against the Slovak Ministry of the Interior for discriminatory policing against Roma. To find out how the ECtHR ruling will go, check out our Facebook and website for news next week. For more background on the Lakatošová and Lakatoš v Slovakia case, the ERRC submission on behalf of the applicants can be found here; and the observations the ERRC submitted on behalf of the applicants, in response to the Government’s observations, can be found here.